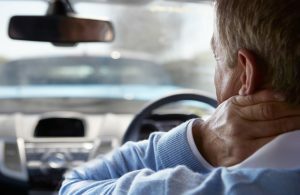 Have you been in a motor vehicle accident, sustained a sports injury, or experienced an injury at work that left your neck stiff and weak? You may have whiplash. 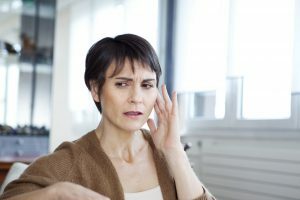 Don’t let this become a chronic pain disorder. Learn more about how physical therapy can be an effective treatment for whiplash. Whiplash is a term used to define a neck or upper back strain/sprain injury. This type of injury is frequently due to a trauma or accident. Motor vehicle accidents are a good example of a whiplash injury. Did you know that even a minor car accident while wearing a seatbelt can result in whiplash symptoms? Whiplash can also occur from participating in contact sports, a slip and fall, or from a blow to the head. Pain or tenderness on the back of your neck or shoulders. Don’t wait to book your whiplash treatment! At Bourassa & Associates, you can get started the same day you call, no doctor’s referral needed. We can help reduce the symptoms of whiplash so that you can resume your normal daily activities. Find a clinic near you to book your appointment today. With 30 years of experience, we can help improve your quality of life reduce the risk of chronic whiplash.